Tropical Hotel Discovery Candidasa Cottages and Villas, nestled on the seashore and surrounded by palm trees and Balinese flowers, will make your stay enjoyable and memorable. The hotel is located on the beach of Candidasa, in a quiet and cozy resort town overviewing the sea and its offshore islands. 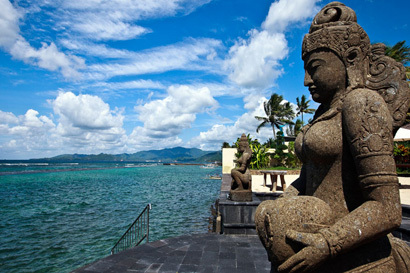 The hotel has its own restaurant of Indonesian and multinational cuisine, bar, outdoor pool, beach and Ayurvedic SPA. There is free WI-FI in the whole hotel area. 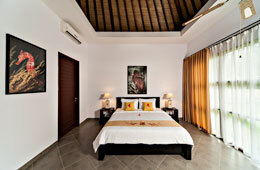 The hotel offers 4 luxury villas and 14 cottages. All hotel rooms are fully furnished with modern furniture and have a private terrace. 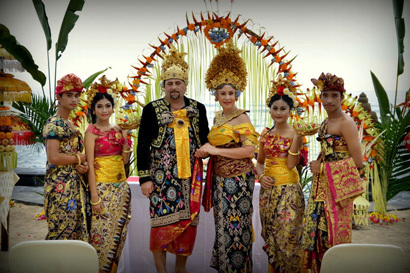 The hotel is a 15-minute drive from the village of Tenganan, which is famous for its traditional Balinese culture and way of life of local residents, as well as a 45-minute drive from the water palace Tirta Gangga. A trip to the international airport Ngurah Rai takes about 1.5 hours. 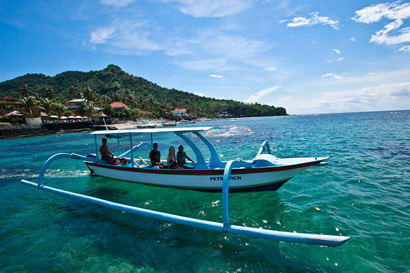 Guests of the hotel can sunbathe on the private hotel beach or go fishing, snorkeling and diving. The hotel also cooperates with diving centers nearby. The hotel also features SPA where guests can indulge themselves into traditional Balinese and Ayurvedic massages as well as other Ayurvedic treatments. To get acquainted with the local countryside, tourists can rent a bicycle, motorcycle or car. Our excursion desk will help to arrange interesting day trips for holidaymakers. 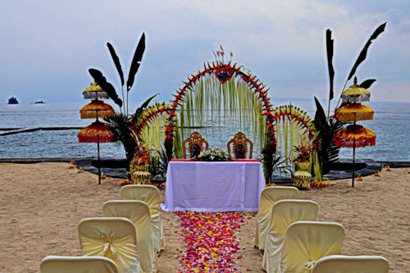 Candidasa, Bali is located in the picturesque regency of Karangasem in Eastern Bali approx. 65 km from Bali's capital of Denpasar. 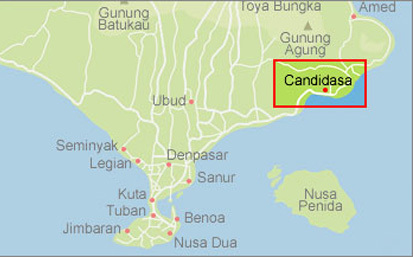 In the hills just 5 km inland from Candidasa is Tenganan village, the most famous Bali Aga (original Balinese) village. It is a perfect place for those who want to get away from the more hectic tourist centres and experience real Bali and Balinese way of life mostly unaffected by tourism. 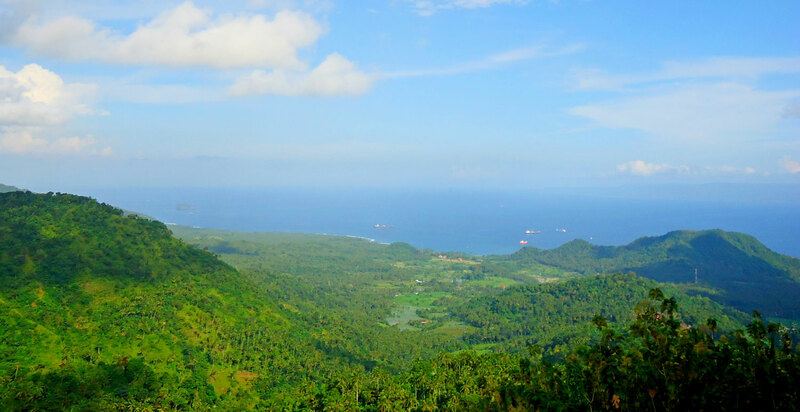 The relaxing atmosphere of Candidasa and its friendly locals is an excellent base for diving the on coral reefs, lazing on the beach, or taking a tour to one of the many attractions.